God is moving in the hearts of those believers who will trust Him to heal their desolate places. He is calling believers to be truthful, for the Lord desires truth in the inward parts. He requires honesty in order to heal the Broken-Hearted. Integrity is a prized possession and not everyone attains it. God is calling everyone to be open and honest with him about deep-seated pain that we have carried for years. Negative coping mechanisms only serve to numb and prolong emotional pain. The Lord is calling us to shed our graveclothes so we can allow the Holy Spirit to cleanse the inside. For those who are ready to give up their old ways of surviving, the Lord is ready to bless you with a brand new life, for those who will dare to truly live with power, passion and conviction. Arned4Battle.com would like to announce that 26-Time World Arm Wrestling Champion, Victor Torres, will be the Guest Speaker at Bayside Church, Men’s Ministry, in Room 440 on Monday evening, March 5th at 7 pm. Victor has been a professional counselor for 30 years, possesses 2 Bachelors and 2 Masters Degrees, and 20 National and International Awards for Demonstrating Leadership and Excellence in Counseling, Teaching, Writing and Speaking. He is the author of 3 books, which have won 2 gold, 2 silver and 2 bronze medals through the Global E-Book Awards. 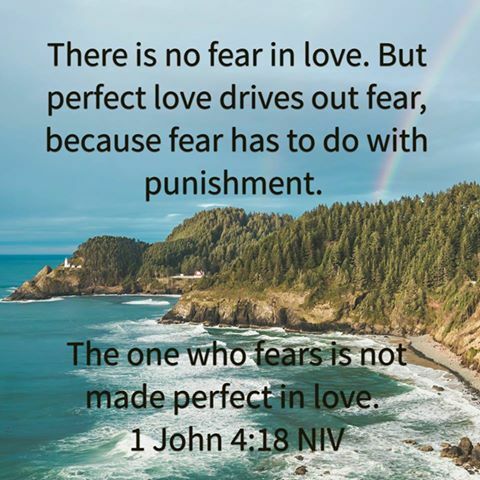 His books include, “Armed for Battle and Destined for Glory,” “The True Making of a Champion,” “Perfect Love Casts Out All Fear,” and most recently, a workbook for his “Perfect Love” book. His books are available through Armed4Battle.com and Amazon.com. Come and hear his story on how he overcame a childhood that included emotional and verbal abuse, schoolyard bullying, poverty, racism and low self-esteem and how he overcame these challenges and used them as a steppingstone to his future. His testimony will encourage you in your walk with God and give you hope for your future. Come and hear how the Lord has called everyone to be a champion! Fear takes on many sizes and shapes in our lives. It is an intruder and comes from the dark side. It is essential that we learn to identify the many faces of fear so that we can quickly put it to flight before it takes residence in our hearts and destroys us from within. 2 Timothy 1:7 declares that “For God has not given us a spirit of fear, but of power and of love and of a sound mind.” We are not to cohabitate with the enemy of our souls but take authority over this demonic stronghold. We are called to be vessels of honor and glory. That means that we should not provide a permanent residence for intruders such as guilt, shame, false pride, rebellion and lack of trust in God. The Lord has promised to heal us and it is our responsibility to receive this gift with gladness and not allow fear to keep us from embracing what the Holy Spirit has bestowed to us. This is your inheritance. Embrace it, my friends, because healing and freedom belongs to you! Too many people are bound by fear and it prevents them from fulfilling their divine destiny. Fear often dictates our decision-making and this should not be the case. 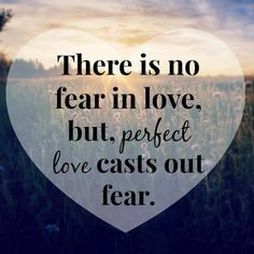 We need to be motivated by God’s perfect love because it casts out all fear (1 John 4:18). Our walk with Christ is a process and we are transformed day by day as long as we aspire to draw closer to the Lord as a lifestyle. We go from strength to strength and glory to glory (Psalm 84:7). It is vital that we surrender all fear to God because fear does not originate from Him but from the enemy of our soul. The Lord is faithful to cast out all fear that would dare to rob us of our peace, joy and contentment. Let us find refuge in Christ and give Him permission to perfect us as He so desires. Jesus is the Master Surgeon and knows exactly how to operate on our hurting heart. God bless you, my friends, and Happy Thanksgiving! People in life are plagued with fear and many are helpless when it comes to knowing how to overcome it. 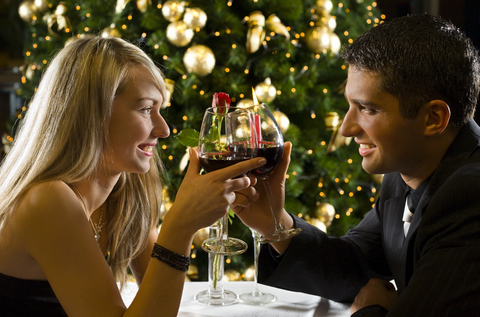 I have met too many men and women who still carry deep scars from their childhood, their former marriages and previous dating relationships. We have a lot of deeply hurting people within the Body of Christ and they need to realize that the pain that they carry will not go away over time in and of itself. Each person has to come before God daily and contend for his or her emotional and physical well-being. Healing will only come when you seek it, when you are willing to face the pain that has terrorized and plagued you for years, when you acknowledge and repent of the mistakes you have made, forgive the people that have abused or neglected you and those who invaded your boundaries who had no permission to violate you. You have to be willing to fully surrender to Jesus and allow Him to walk you through the valley of the shadow of death until there is no longer any pain associated with the memory of your hurtful event. But this is where many people fall short. Most Christians I know are not fully surrendered to Jesus because they don’t trust Him with their broken hearts. They would rather exist in their shattered states because they are afraid to face their pain. As a result, they displace and project their pain on the innocent who had nothing to do with their present, painful state. God’sPerfect Love Dwells Within You! It’s time for the Body of Christ to come face-to-face with their hidden pain and secret sins, stop playing mind-games, fully surrender to Christ, receive their healing and get on with taking up the mantle to fulfill the Great Commission. Some Christians will be able to work through their hurts with the help of the Holy Spirit alone. Others will need to go through Christian Counseling or a deliverance minister. But one thing is for sure: not until you admit that you have a problem and that it is negatively affecting those around you, nothing will change and Satan will continue to wreak havoc on your emotions, thought life and quality of life. What good does it do to say that Jesus is your Lord and Savior when you don’t live like that? I would say that most people who have professed Christ can say that He is their Savior, but very few, perhaps less than 1% of the Body of Christ, can say that Jesus is their Lord because they have never fully surrendered to Christ and given Him everything. I’m referring to your broken and damaged heart, your scarred mind, your broken dreams, your failed relationships, lost financial opportunities and permission to allow the Lord to walk you through your painful past, present and trust Him with your future. Quite frankly, it’s time to get real with Jesus. You are not getting any younger as your days are numbered. How many more years will you waste wandering through the desert of despair because fear prevents you from facing your pain? Sadly, many people will die in the desert, in the wasteland of emotional despair without ever having walked in, let alone looked on the Promised Land that longs to be discovered within the recesses of one’s heart. Choose wisely, my friends, and ask God to give you the courage to face whatever hidden pain needs to be brought to the surface, lest you die a death that reveals your legacy was filled with emptiness, loneliness, deep despair, fear and no witness for Christ because you failed to be an overcomer. This is not God’s will for your life. Face You Fears and Earn Your Reward! “The True Making of a Champion” Wins 2 Gold Medals!! 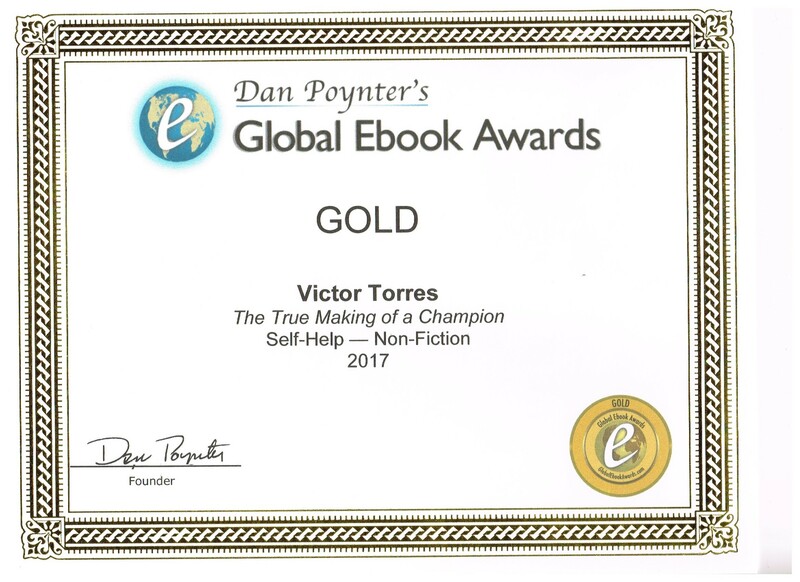 Armed4Battle congratulates Victor Torres for his book, “The True Making of a Champion:Building Strength and Character Through Adversity.” Victor’s book won 2 Gold Medals through Dan Poynter’s Global E-Book Awards! 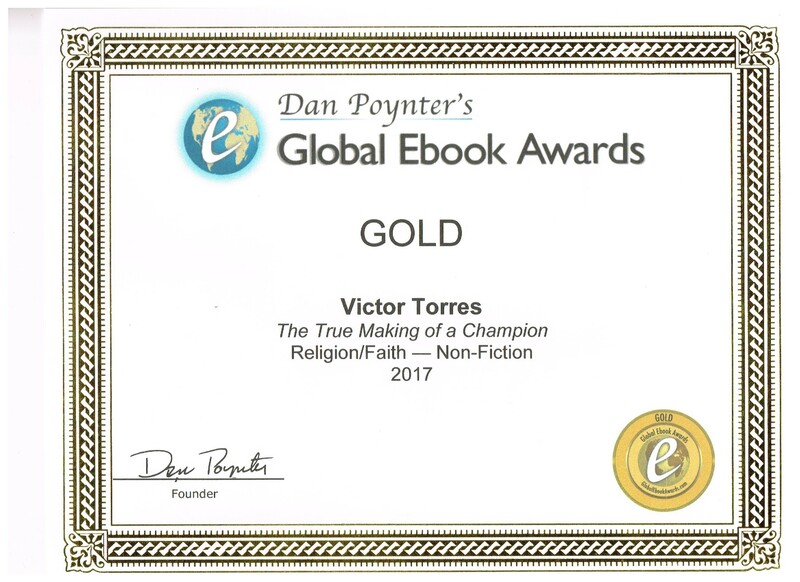 His book finished in 1st place in “The Religion/Faith–Non-Fiction category and 1st place in “The Self-Help–Non-Fiction” category. The True Making of a Champion is #1 in the World for Best Self-Help Book in Non-Fiction! Victor’s book is # 1 in the World in 2 major categories! 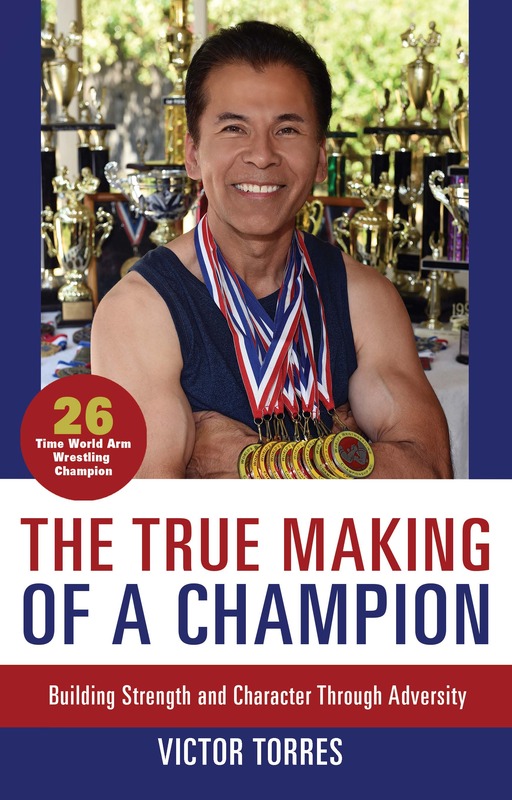 A very inspirational read about a young man who was raised in poverty, suffered at the hands of parental abuse, was a victim of bullying and racism and rose above the ashes to earn 4 college degrees, became a world renown author, public speaker and 26-Time World Arm Wrestling Champion! 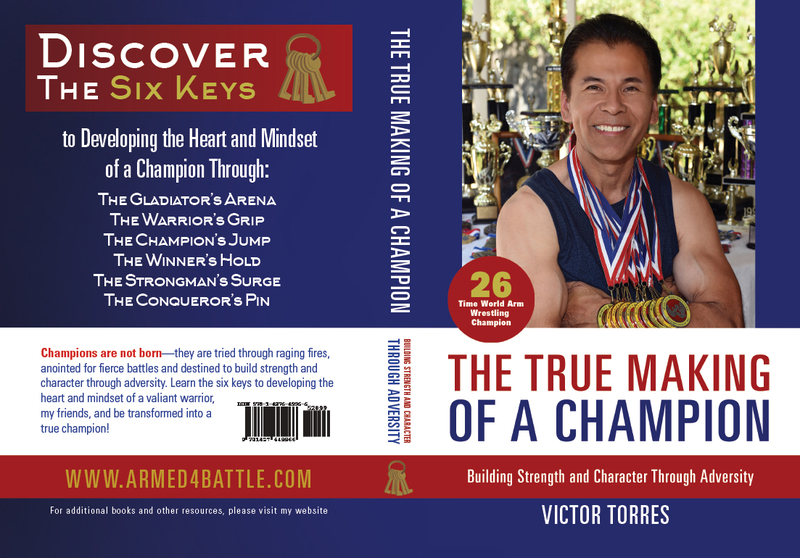 Purchase a copy of his book, “The True Making of a Champion” and find out how you can develop the heart and mindset of a champion through 6 principles that he discusses so you can apply it to your life. His book(s) are available through his website at Armed4Battle.com or at Amazon.com. As you continue to seek the Lord, God will give you a divine appointment with the special someone who He has chosen especially for you! 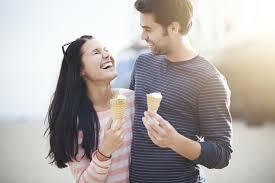 You will be like-minded and have a mutual passion for God. That special lady will notice the special talents that the Lord has given you to be used for His glory, and she will not pass you by because she will be sensitive to the Holy Spirit’s leading. She will see your heart for God, how much you care about others and in advancing the kingdom for the Lord’s glory. She will see you as a rare jewel, a special gem that is not to be passed up and will look past your shortcomings, knowing that she has some as well. She will see greatness in you that perhaps others don’t see that has been refined by the fire of adversity and you will see the same in her. 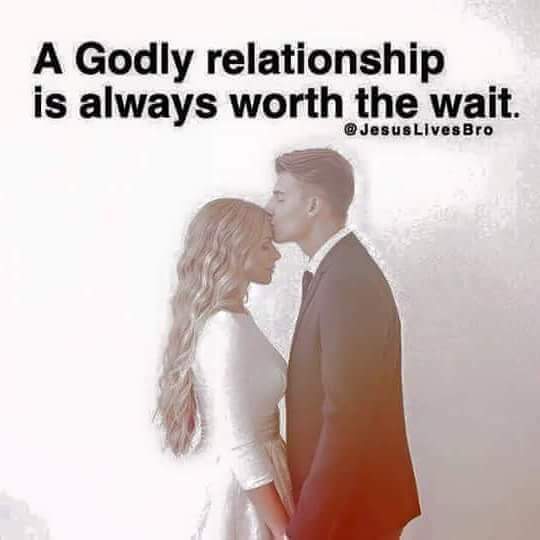 And you will not have to go out of your way to impress her because the Lord will give her the means to look deeply into your heart and see the beauty and strength that Jesus placed within you through much testing and refining. And, might you ask, how this will happen? By divine appointment! But you must persevere and not give up hope, knowing that God will give you the desires of your heart that He placed in there (Psalm 37:4) and the work that He has begun He will bring to completion (Philippians 1:6). “No good thing will He (God) withhold from those who walk uprightly (Psalm 84:11). “Perfect Love Study Guide” Coming Soon! 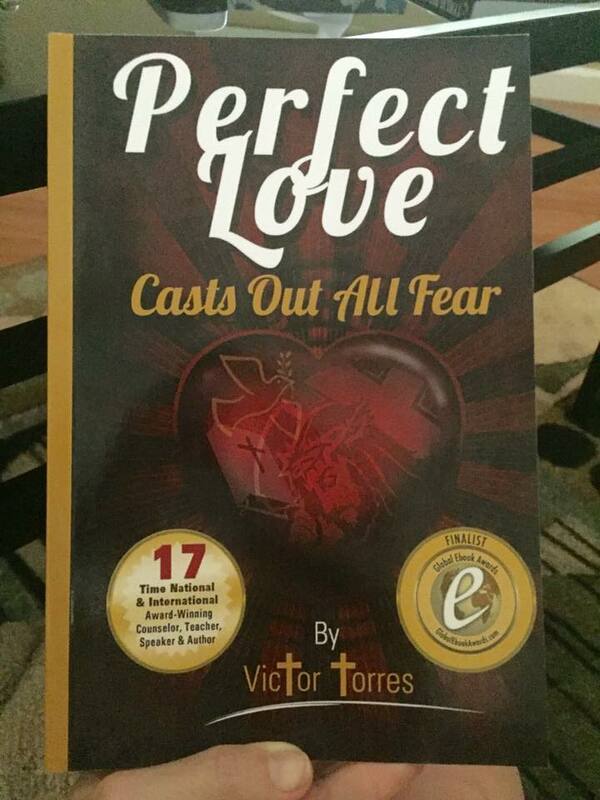 Victor Torres’ 2nd book, “Perfect Love Casts Out All Fear,” will soon have a Study Guide to accompany it! It contains probing questions that will help you to take a deeper look into helping you overcome hurts from your past. 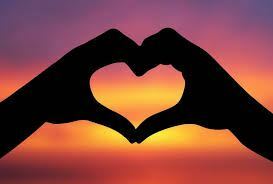 It is God’s will that everyone be emotionally healthy and prevail over tragic circumstances. This Study Guide will help you to courageously face emotional wounds from heartaches that originated from losses such as death, divorce, childhood abuse and neglect and more! 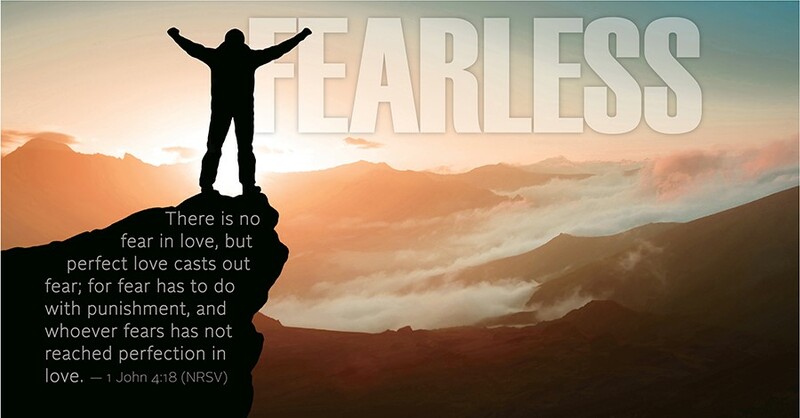 “Perfect Love Casts Out All Fear Study Guide” Coming Soon! 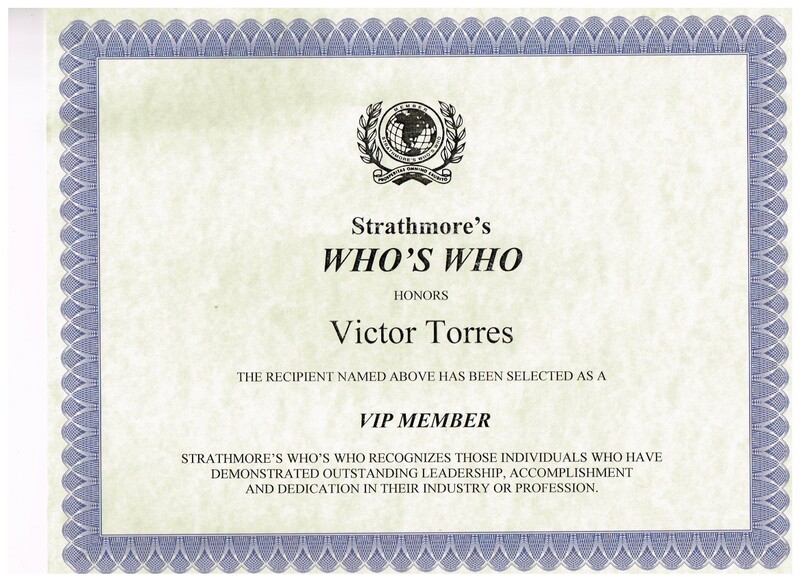 Armed4Battle would like to congratulate Victor Torres for being honored by Strathmore’s Who’s Who for demonstrating outstanding leadership, accomplishment and dedication in his professions. Victor has distinguished himself as a successful professional counselor, published author, public speaker and professional arm wrestler! This is his 18th National or International award. Well done, Victor, and keep up the great work!